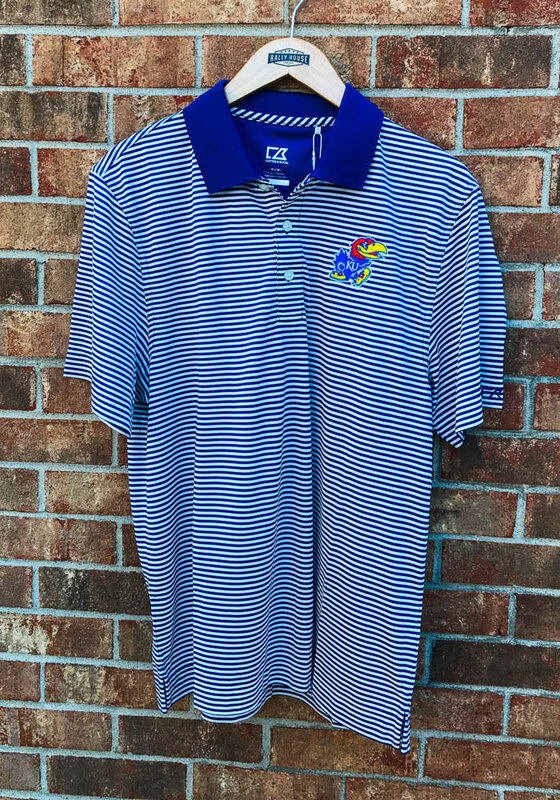 Showcase your Kansas Jayhawks pride at the office or on the golf course in this Cutter and Buck Blue Trevor Stripe Short Sleeve Polo! 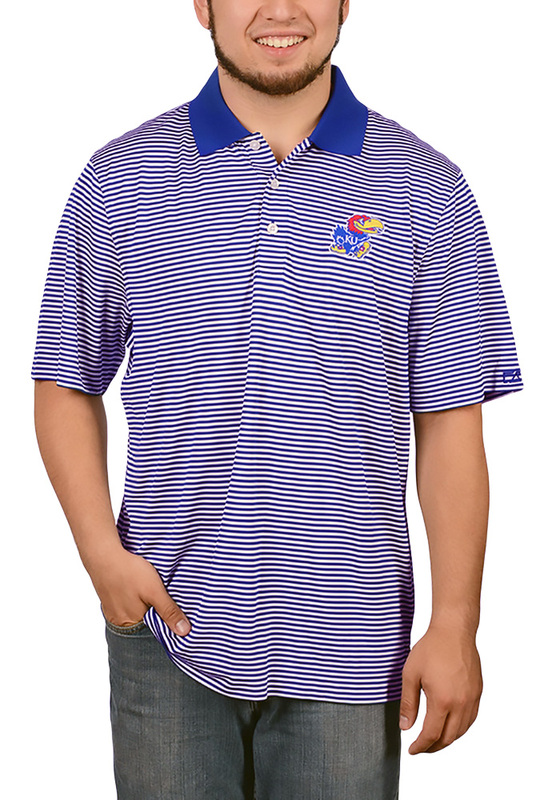 You'll look sharp in this Jayhawks Polo, which features a thin stripe and team logo embroidery. 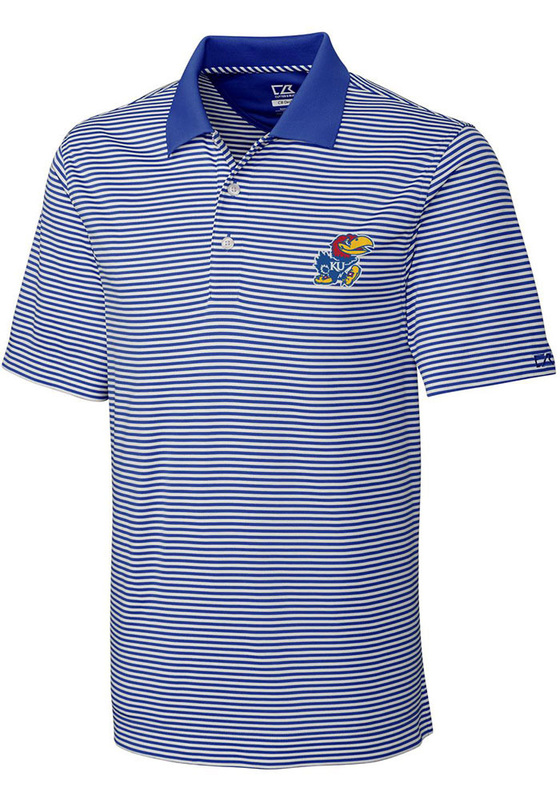 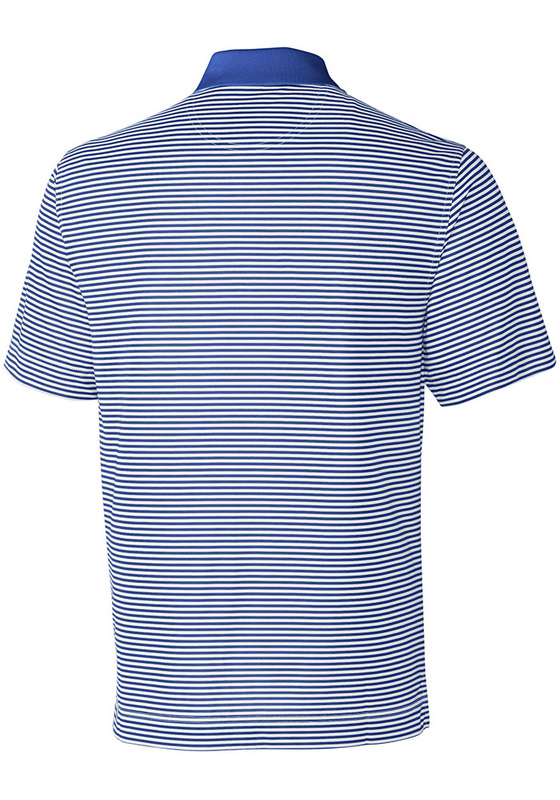 This KU Jayhawks Blue Trevor Stripe Short Sleeve Polo Shirt is the perfect update to your professional wardrobe.